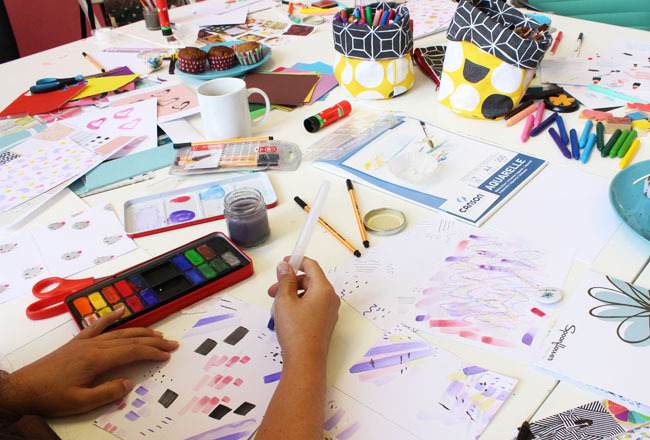 Have you ever wanted to design your own fabric? 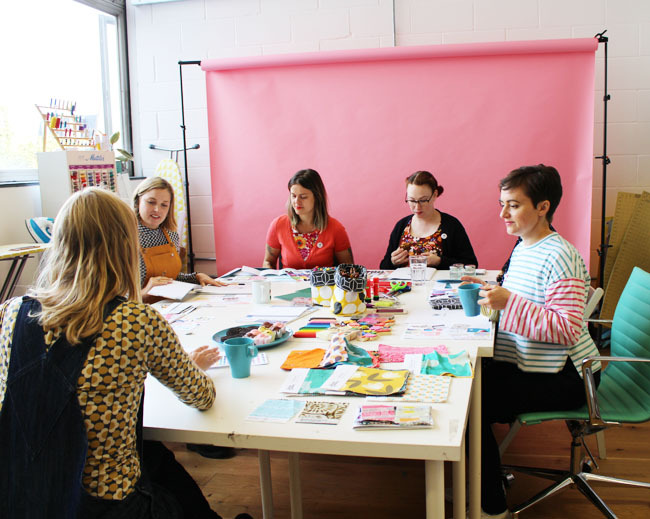 If you're anything like us at TATB, the idea of not only making your own garment, but designing fabric to go with it, makes us squeal with excitement! We have teamed up with Spoonflower to show you how to design your own seamless repeat pattern. 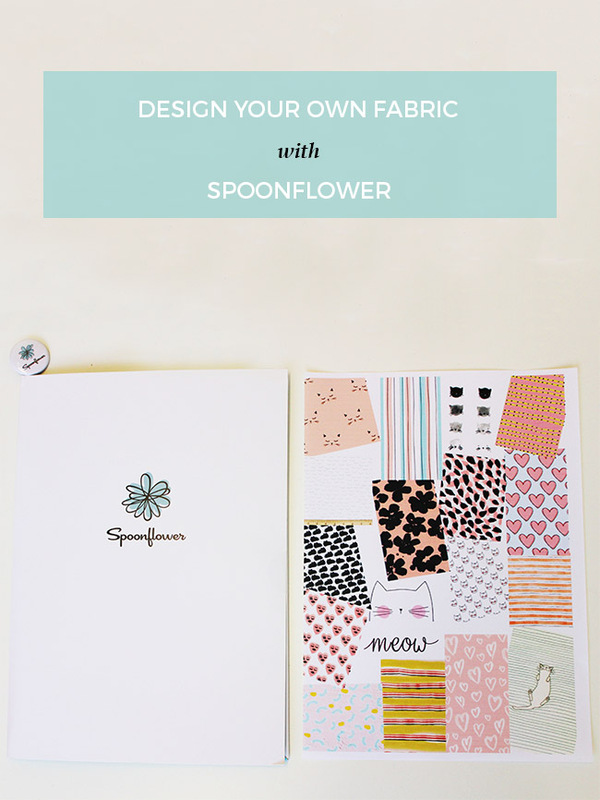 Spoonflower enables you to upload your own designs and print them onto so many different fabrics. 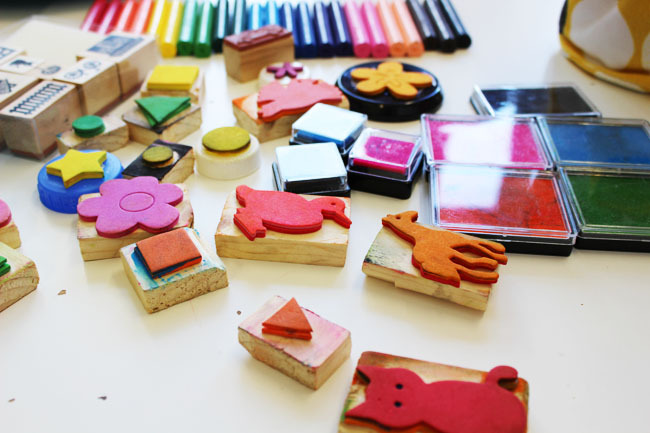 Their digital printing process uses eco-friendly, water-based pigment inks and dyes that produce very little waste. 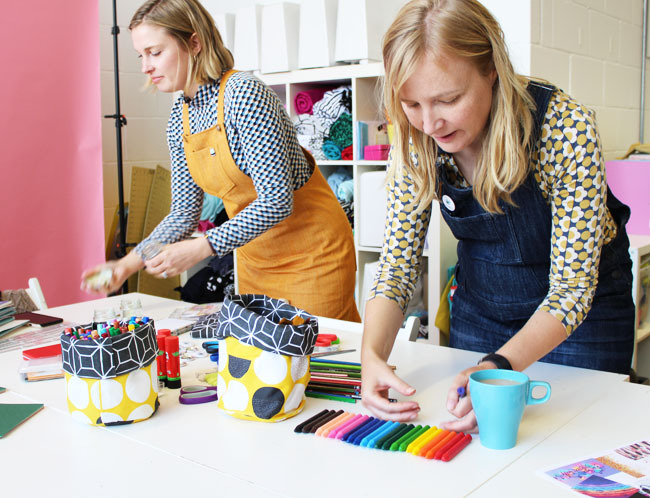 They hold the largest collection of independent designers in the world, so you can browse a wealth of designs - but why not have a go yourself? 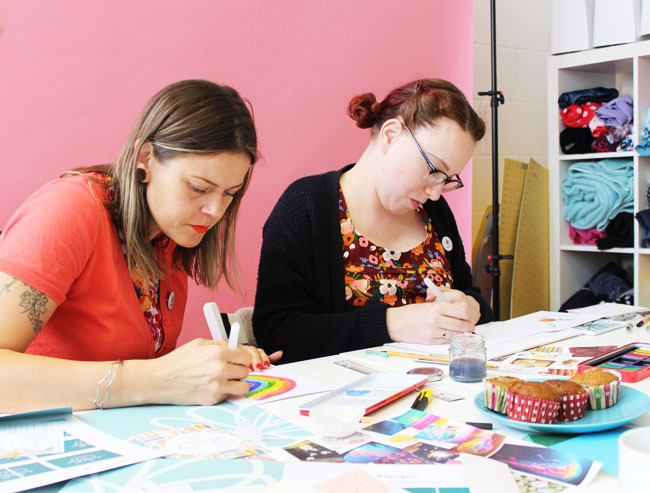 Spoonflower asked the lovely Suzie to come along to our studio to teach us how to design our own seamless repeat pattern, which is then scanned to become a print. Suzie is a wonderful print designer from Suzie London and is based in the cutest shop (that she describes as a shed) in North London. First things first, plan your design. 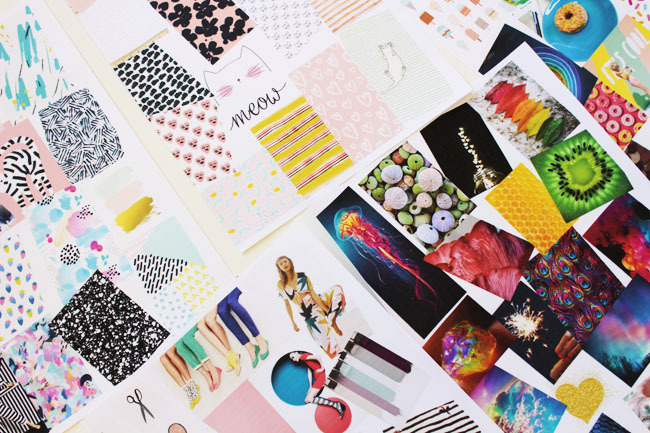 Moodboards are really helpful as you can get inspired by colour, images and layout. It is worth considering what you would like to make with your fabric, as this will make a difference to your design. We planned for different sewing patterns - such as the Rosa shirt and Agnes jersey top. Then we can wear our prints on their own or layered underneath our office staple clobber - dungarees. Synthetic fabrics will look super bright when they are printed, whereas natural fabrics will look a little duller. You can order a sample pack from Spoonflower to see these IRL. 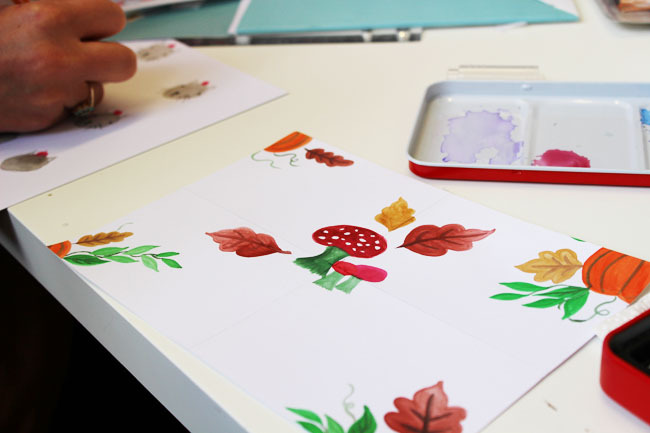 Now we're going to start creating our seamless repeat pattern on paper/card, which will then be digitised. 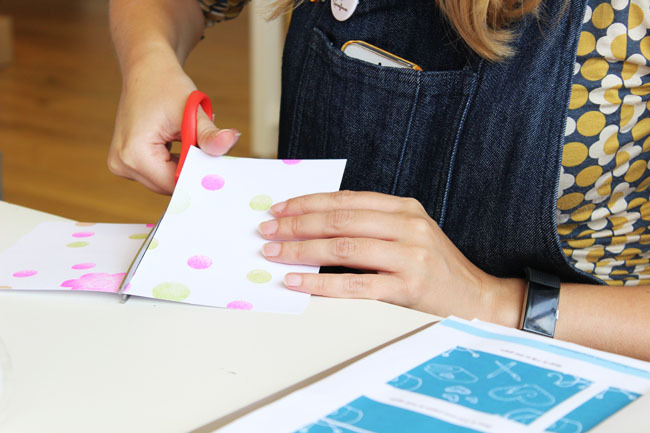 Suzie suggested using stamps and inks if you're not sure what to do, as they look really effective when turned into a full pattern. 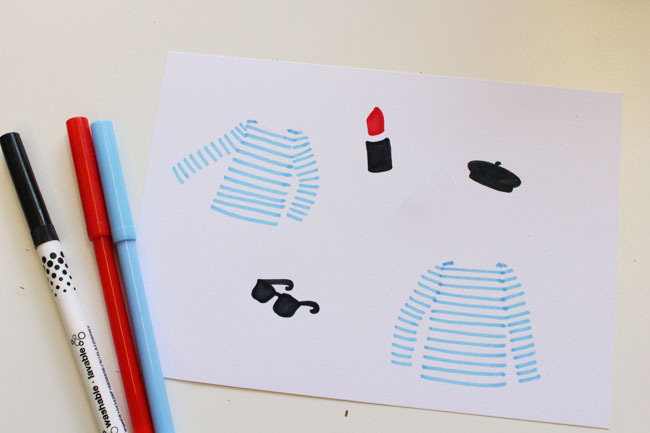 You can go for a randomly placed design (like the cat one pictured), a single design (like the breton tee) that will then be repeated when uploaded onto Spoonflower, or a bold design to the edges (like the autumn inspired design). 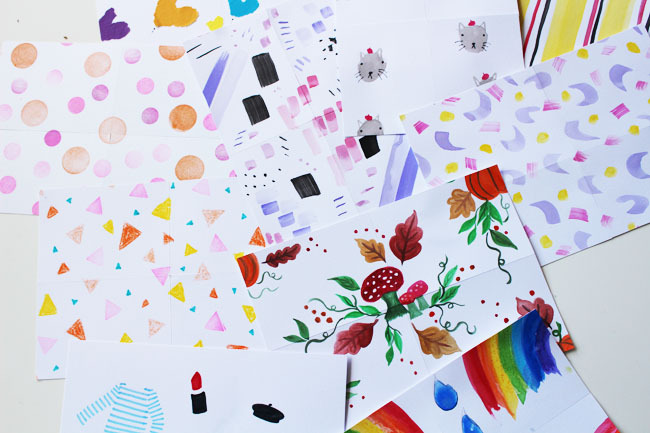 Take your piece of paper or card and get designing! Be careful not to design right to the edges as these will be moving! 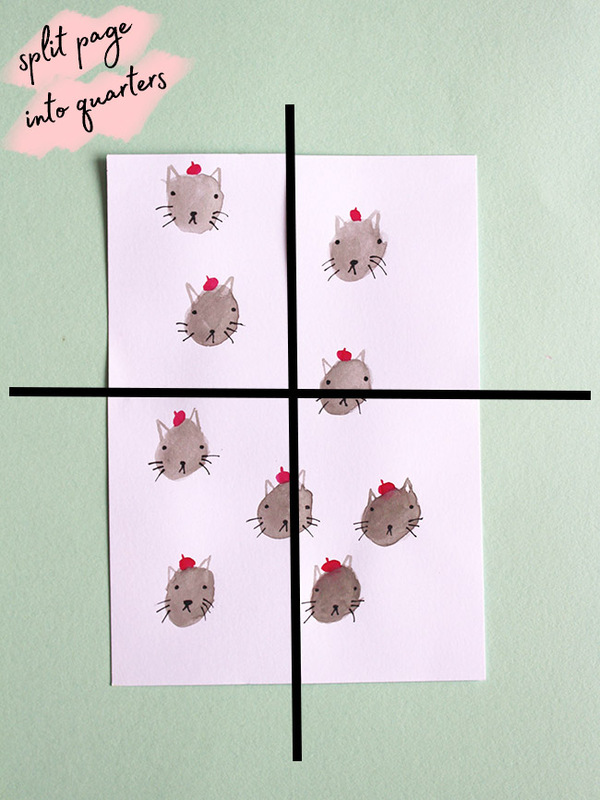 *Suzie's top tip is to pre-cut squares of paper or card - 20cm x 20cm (8 in x 8 in) work well. Once you are happy with your design, it's time to cut into it! First, measure your paper to find the centre and mark it. 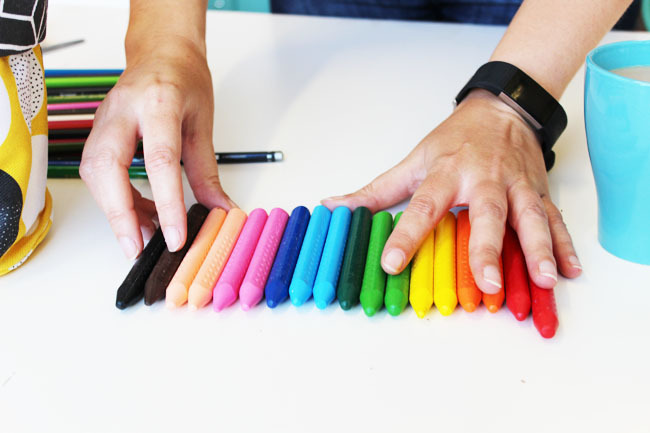 Next, using your pencil and ruler, divide your piece of paper into quarters. This creates 'tiles' and the tiles then move around each other to create a seamless design that will repeat at the edges to create a print. Grab your scissors and cut down the vertical centre line. These will then be swapped edge to edge, so that the design that was in the middle is now on the outside and the clear edges are in the centre. 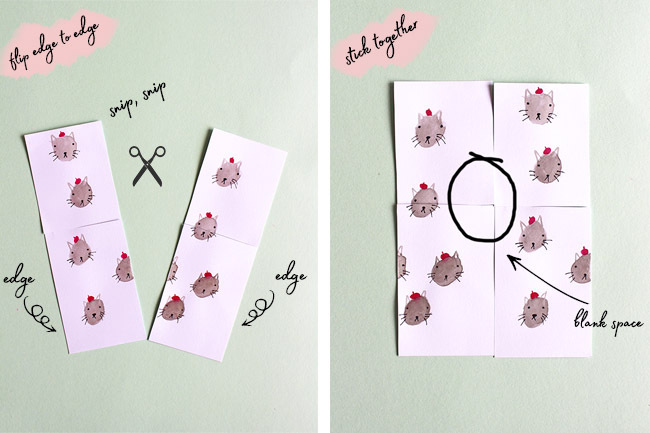 Next, tape these together at the back of the paper/card. Repeat the last steps, only this time cut down the horizontal centre line. Then swap the pieces top to bottom, so that the design that was in the middle is now on the outside and the clear edges are in the centre. 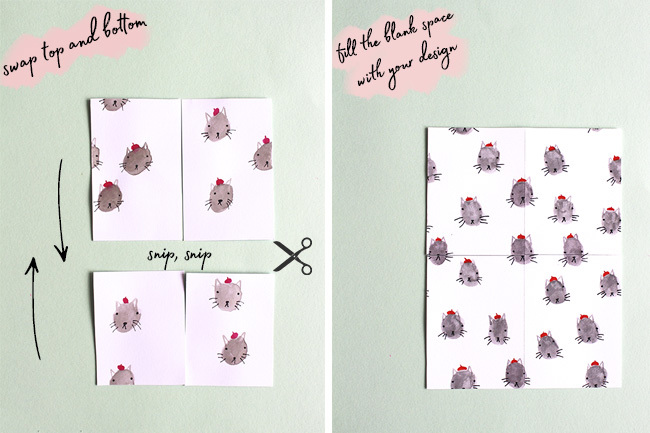 Then tape these together at the back of the paper/card. Now you will see the blank space in the middle that you can fill in with your design. Once you have a completed design you are ready to clean it up digitally, which will get it ready for uploading and printing! 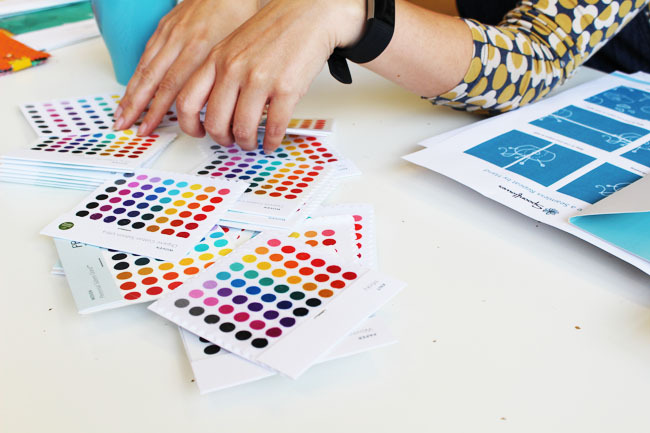 Our next blog post will take you through this process, so you can get your fabric of dreams realised at Spoonflower. This post was sponsored - thanks to Spoonflower for providing us with the workshop and tools to give it a go!